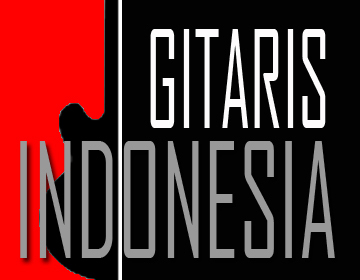 www.gitarisindonesia.com - Rama Satria, (born Rama Satria Claproth May 29, 1983, Bandung, Indonesia) is the only blues guitarist in Indonesia who has traveled all over the world and performed together with Double Trouble (band of the late Stevie Ray Vaughan), Band Of Gypsys (band of the late Jimi Hendrix), BB King, Slash, Lenny Kravitz, Les Paul, Johnny Winter, Lance Lopez, Joe Bonamassa, Chris Duarte, Wes Jeans and many others. His late mother was Spanish and his father is German-Indonesian. He began playing guitar at age 10, figuring out Jimi Hendrix, Stevie Ray Vaughan, B.B. King and Albert King licks from his record collection. At age 14, he formed a band with his two younger brothers Arya and Joshua called “JaQue MaTe”. 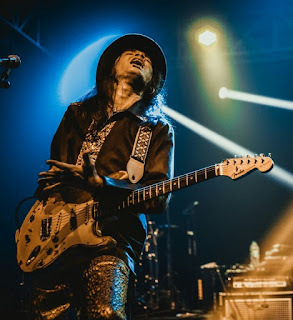 During the years he was obsessed with the blues and apart from his band, “JaQue MaTe”, Rama was also an endorser and a clinician for Fender Musical Instruments. 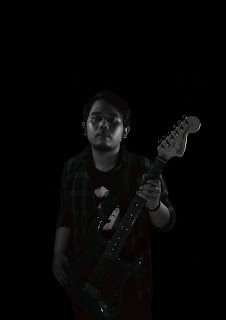 Today he is endorsed by Radix guitars. In 2001 Rama along with his younger brothers went to Boston USA to produce their debut album “Tabasco Woman” released and was surprisingly sold 50,000 copies in just a few months of time. Even the album managed to peak on the second after Eric Clapton in Bandit Blues Radio in the USA remarkable achievement considering they compete with many other senior blues musicians. In 2004 Rama started his solo career.